Groenholland BV (NL) was founded in Amsterdam in 1990. As a result of commercial groundsource projects in the UK, Groenholland UK Ltd. was incorporated in 2001. The Groenholland focus is on various aspects of ground source energy systems. Not only do we test, design and implement the ground coupled well fields, we also build and install complete turn key heat pump installations. Our contribution ranges from TRT testing & data analysis to the hard and software control and the maintenance. Over the last 20 years we have been involved in over 250 shallow geothermal projects that vary in size from private estates, with 40-50 kW installed heat pump capacity, to large public and commercial buildings with 400-500 kW installations or even large scale housing development with up to 1500 homes with a combined installed capacity of 5-6 Mw of closed loop heat pump systems. Other activities include participation in a number of EU research projects, active membership of National and International bodies, teaching and development of energy plans or specific guidelines and legislation related to shallow geothermal energy for National and local government. Shallow geothermal energy systems (in general between 80 and 300 metres depth) using heat pump technology, also known as ground source heat pumps (GSHP), offer tremendous reductions on the use of primary energy, whether this is generated using a conventional or a renewable technology. The EU RES directive (2009/28/EC) recognizes shallow geothermal energy as a renewable technology and for this reason the technology is part of all the National Renewable Action Plans (Nreap) of all EU countries. Energy savings using shallow geothermal heat pump systems are achieved using energy efficient heat pumps as well as using the energy storage capabilities and the thermal mass of the ground. Heat generated from "äir conditioning" is stored in the ground, instead of being rejected to the ambient as in conventional cooling systems. Depending on the operating cycle of the project this heat can be re-used at night time or in the winter period for heating. Cold generated through providing heating to the project can be re-used in a similar manner. GSHP plantroom installation works, Dyson Malmesbury. Groenholland provide a complete and energy efficient heat pump system based on a closed loop borehole heatexchanger wellfield. The energy system provides simultaneous heating and cooling (24/7) at the capacity (kW) and temperatures required to maintain the comfort levels in the building. Our geothermal projects include all major consultants, mechanical contractors and building contractors. 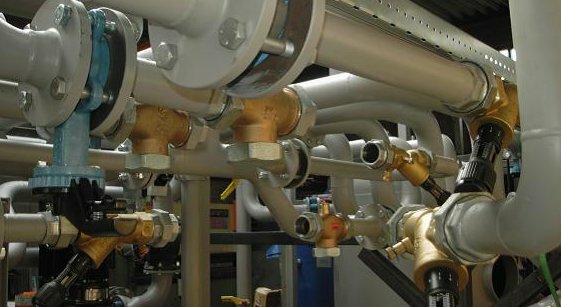 The Groenholland package includes all design, testing and project management, the "turn key" geothermal installation, commissioning to guideline specifications, manuals, training and above all the remote web browser functionality, allowing energy monitoring and trouble shooting support to facilities management. The complete package carries a full years warranty on labour, parts and performance. A maintenance contract is an option that most of our clients select, certainly for the first few years where they can familiarize themselves with the installation. Monitoring and maintenance of the shallow geothermal wellfield, the hydraulic installation and the heat pumps, includes periodic (weekly , monthly, quarterly...) system performance updates and two yearly visits for a general system inspection and a refrigerant specialist review. We also provide technical support to the client or FM support in applying for financial support programs such as RHI (UK). With many geothermal systems under our own maintenance, it is very likely that we can organize feedback or even direct contact with the end user, that you can use in your tender evaluation. At first glance a complete package is often regarded as expensive. However, being complete, its designed and build for long term efficient operation and low maintenance cost, which is the essence of a geothermal heat pump system. In everyday practice we find that in comparing systems in a tender procedure, components such as the electrical infrastructure, the controls and above all the operating strategy are not fully appreciated. This often leads to hidden cost in other packages, split responsabilities and poor functioning (energy and maintenance wise) of the final installtion. Cost savings relate to savings on primary energy, low maintenance cost, long life and thereby low life cycle costs. Although energy savings are project specific, a GSHP providing heating and cooling should achieve savings over a conventional gasboiler/chiller installation of between 30-50%. A ground source heat pump installation can be a sound long term investment, with an acceptable return, providing it is well designed, well implemented and thereby fulfils it's lifetime expectations. World Wildlife Fund (WWF) Netherlands, Zeist. A high quality product to extract the maximum efficiency from an installation with little or no maintenance. Not only today, but also in 25 years time. Off site fabrication of our modulair installations allows high built quality and little loss of time when installing systems on site. All products are warranted, monitoring off system key parameters (temperatures, flows) and energy metering when the installation is in use underwrites this. Projects vary from large scale domestic housing and apartments, to schools, galleries, hospitals and universities as well as commercial developments such as offices and warehousing. What the projects have in common is the desire to use energy saving sustainable technology and to design with this in mind. Using geo-energy to its full potential, whilst keeping the projects elegant and economically justifiable. Targets on reducing the use of fossil fuels (gas, oil and electricity) should be the focus point. It is essential to define these in an early stage of the project, so that the GSHP system can be designed to achieve these goals over the long term. In June 2018 the 120 kW capacity GSHP installation has been delivered to the Ancaster House project in Mayfair. In the coming months the installation will be connected to the building heating and cooling system and commissioned. City University London, Sebastian Street. The GEOtech Horizon 2020 project started in 2015 and is now at the end of year 3, with one year to go. In the project (grant 656889) a consortium formed by a number of Universities and SME's cooperates in building a new novel drill rig for shallow heat exchanger installation and the developement of a new dual source heat pump. The site comprises about 40 hectares, with 1200 houses. Each house has an individual heat pump for space heating and DHW. Th heat pump is equiped with closed loop ground coupling to 80 meters depth. In summertime the hydraulic loop is used for "free cooling"
The total installed heat pump capacity is approximately 7 MW, making it one of the largest projects of its kind in the world. In 2013 Etten-Leur was awarded the European heat pump capital award (EHPA). Back in 2005 Groenholland developed the "master plan" for the long term future temperature development in the 1200 home Etten-Leur project. The original plan, as presented in 2006 at the Ecostock conference in New Jersey (see pdf in our download section) modelled the long term temperature development under several energy scenarios. Over a 2 year period (2011-2013) Groenholland have monitored 30 specifically installed observation wells monthly at various depths. A first conclusion based on the measured temperatures (4000 datapoints) is that the project is running well and spatial temperature development, including groundwater flow effects, are within the predicted operating bandwith. In 2014 Groenholland has been invited by the municipality of Etten-Leur to continue monitoring of soil temperatures for a period of 5 years. Establishing the cumulative negative temperature effect caused by interacting geothermal systems is a requirement in the new (2013) Dutch legislation for geothermal energy. Groenholland have developed a methodology for calculating temperature interference between adjacent closed loop borehole heat exchanger (BHE) projects. The ability to objectively quantify thermal effects between different systems will in the near future become an essential element in the design of areas housing multiple BHE's. As the number of implemented BHE based systems is steadily growing, it has become apparant that spatial planning and optimisation of underground energy systems requires appropriate tools. The project was carried out for the Dutch ministery of Infrastructure & Environment. A new planning tool has been developed by Groenholland to allow the planning of locations with multiple ground source energy systems. The tool allows the allocation of underground energy budgets to designers. Not exceeding the budget guarantees the long term efficient operation for all involved. 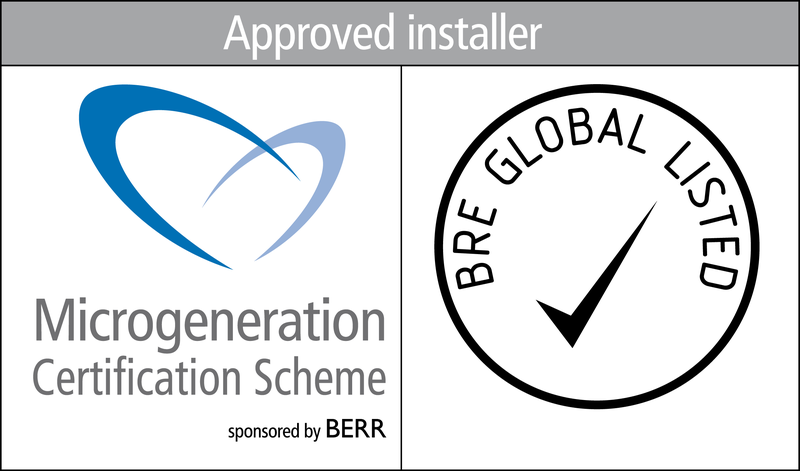 Groenholland UK are certified as a groundsource heatpump installer under the Microgeneration Certification Scheme (MCS 1201).